Leduc was a painter of landscapes and urban scenery. He began his career under the supervision of Jean Coosemans in Tervuren, near Brussels. Further artistic education was obtained at the Academy of Mons under the tutorship of Antoine Bourlard between 1891 and 1896, and the workshop of Albert Baertsoen at the NHISKA. It was the latter who taught him composition and the technique of applying paint in thick layers. He was a large hearty man with a reputation as a straight talker and bon-viveur. He set up his studio on the ground floor of his lovely traditional Flemish house in Rue Léopold Courouble in the borough of Schaerbeek, Brussels. 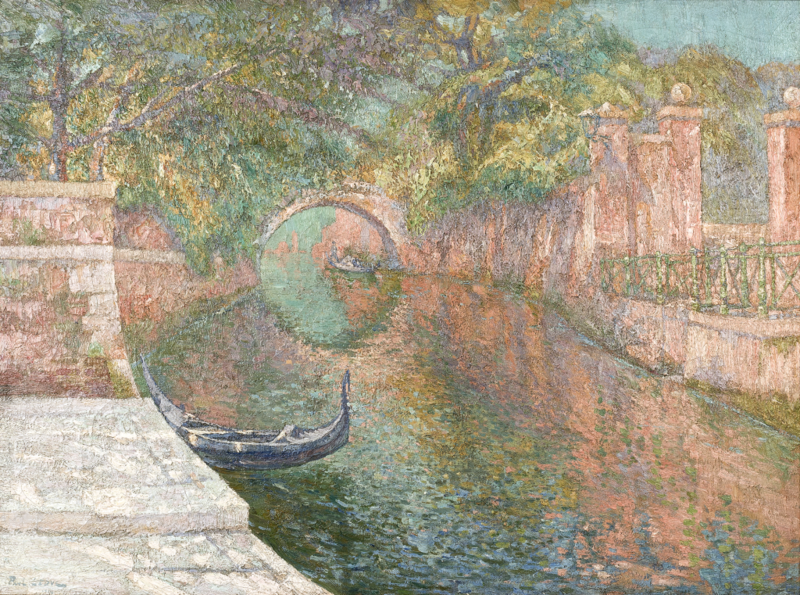 Although he had loved painting the local urban areas and landscapes, including Bruges, Dordrecht and parts of Holland, he felt the need for a change from the muted, misty north European light and travelled to the Italian Adriatic and Mediterranean south of France on a two year painting odyssey. This transformed his style: he painted fast using vibrant colours applied often with a palette knife. His style and palette can be seen to derive from the Impressionist school, not only with the quite flamboyant colouration, but also the way the composition is divided into sections with the thick application of paint and the use of vertical lines. Luminist is also a term that can be employed to describe him and the influence of the Fauvists can be perceived in the treatment of water in particular. 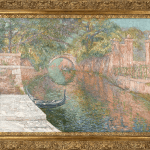 His paintings are above all vibrant, a disciple of Impressionism he was particularly skilled at depicting dappled light and the harsh sunlight. Museums where his work can be seen include: Charleroi, Schaerbeek, Ixelles, Mons, Frankfurt, Bucharest, Buenos Aires, Rio de Janeiro, and Brussels as well as the provincial museums of Hainaut and Brabant. His work was shown at the Venice International Art Exhibition and some of his paintings are in the Brussels Royal Palace and were in the collection of Count Prato in Milan and, prior to the revolution, the King of Romania. BÉNÉZIT, E., "Dictionnaire critique des peintres, sculpteurs, dessinateurs et graveurs", Gründ, Paris, 1999. DE SEYN, E., "Dictionnaire biographique des Sciences, des Lettres et des Arts en Belgique", Brussels, 1935. PAS, W. & G., "ARTO: Biografische Lexicon Plastische Kunst in België, De Gulden Roos", Antwerp, 2000. PIRON, P., "De Belgische Beeldende Kunstenaars uit de 19e en 20e eeuw", Art in Belgium, Brussels, 1999. © 2019 Thienpont Fine Art. All Rights Reserved.